Some of you may recall that in April 2008 I began a blog series dedicated to my Favorite Poets from A to Z. It’s taken a while, but I’m finally getting around to the letter E and and the incomparable T.S. Eliot. 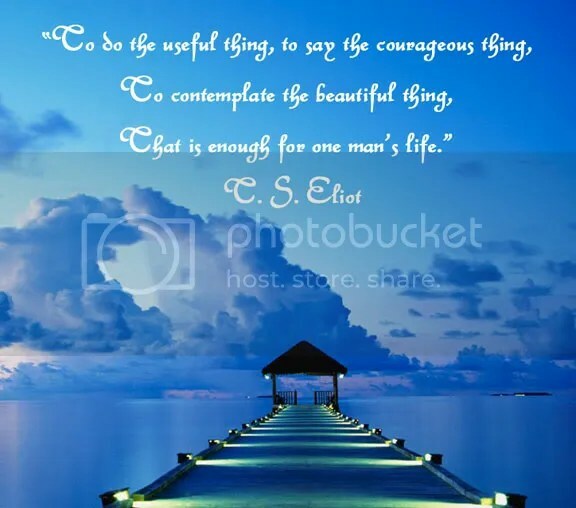 In the course of the past year I’ve added over two dozen Eliot works to the Crisis Chronicles Online Library, including his first two collections — Prufrock and Other Observations and Poems — in their entirety, as well as what some consider his most important poem, The Waste Land. Nancy Smith and Joseph Allen were acquitted yesterday after having spent about a decade and a half in prison for crimes they did not commit. I’ve been convinced of their innocence for many years – and finally their case met a judge (James Burge) with the right combination of brains, balls and compassion. It’s nice to see justice finally prevail in what a lot of folks thought a hopeless case. But it’s too bad no one can give Smith and Allen their lives back. Sitting here this morning, listening to J’Accuse Ted Hughes by Sonic Youth, I notice that Ken Kitt has uploaded more poetry videos to his PoetryVidz YouTube channel. Here’s one of me reading “Mark This” at the Barking Spider in Cleveland during the Hessler Street Fair on 16 May 2009. Remember that the first live poetry reading or open mic I ever participated in was at the same venue during the same Fair in May 2008. So you could say this was my poetry performance anniversary. Thanks to Ken, to event emcee Ray McNiece, and to Le Pink-Elephant Press (who published this poem)! Fun stuff! Check it out! Where’s your sense of humor? — John B., 18 June 2009, 8:30 a.m.